Book Nile Cruise From Marsa Alam. 3/4 Days Aswan to Luxor Nile River Cruise From Marsa Alam. Marsa Alam Nile Cruise Luxury Trip Sailing Down The Majestic Nile River Onboard Deluxe Nile Cruise From Aswan in An Amazing Journey Through Ancient Egypt Top Attractions. Pick up from hotel then 5 hours transfer to board Cruise before lunch. Visit High Dam, Philae Temple and Sail on Nile by Felucca. Dinner and overnight on board in Aswan. Sail to Kom Ombo then relish morning trip to Sobek temple. Continue sailing to Edfu for an evening visit to Horus temple. Afternoon tea while sailing to Esna. Dinner and overnight on board. Arrive Luxor to visit Karnak and Luxor Temples in East Luxor. Disco, Music in the evening and overnight aboard cruise. Disembark in Luxor after breakfast meal on board. Explore Valley of Kings, Hatshepsut Temple & Colossi Memnon. Shopping in Luxor then transfer back to your hotel in Marsa Alam. Marsa Alam is one of the newest tourist destinations in Egypt. The development of the city began in 1995, experts assert that Marsa Alam would be a major city for tourism because of its wonderful beaches, warm weather, and the magical ambience. Book 2 Days Abu Simbel Tour From Marsa Alam. Overnight Marsa Alam Abu Simbel Trip to Philae temple, Unfinished Obelisk, High Dam and Abu Simbel Temples. Private Marsa Alam Tour to Abu Simbel By Car. Book Marsa Alam to Luxor Tour. Marsa Alam to Valley of The Kings, Luxor Temple, Karnak Temples and Hatshebsut Temple With Private Luxor Trip From Marsa Alam. Tour is Available Daily From Marsa Alam Hotels With Expert Egyptologist Tour Guide. Private Day Trip to Aswan From Marsa Alam. Aswan Tours From Marsa Alam to High Dam, Unfinished Obelisk & Philae Temple. Book Marsa Alam to Aswan By Car With Expert Egyptologist Tour Guide to Maxmize Your Sightseeing While Holidaying in Egypt. Book Edfu & Temple of Kom Ombo Full Day Private Tour With Lunch. Enjoy Escorted Kom Ombo and Edfu Tour to Visit Horus and Sobek Temples Privately From Marsa Alam By Car to Maxmize Your Ancient Egypt Experience While You Are Holidaying in Marsa Alam Egypt. Book Marsa Alam Pyramid Trips By Flight. Air Excursion to Giza Pyramids, Egyptian Museum, River Nile & Old Cairo. Book Marsa Alam to Cairo Tour By Plane With Daily Departures Available and Personal Skilled Guide. Book Marsa Alam to Luxor Tour. Luxor Trip From Marsa Alam to Valley Of The Kings, Karnak and Hatshepsut Temples. 2 Day Trip to Luxor By Private Car With Personal Egyptologist Tour Guide. Book 2 Days Marsa Alam to Cairo Tour. Cairo Tour From Marsa Alam to Giza Pyramids, the Egyptian Museum and Old Cairo. Cairo Itinerary 2 Days From Marsa Alam By Plane at Any Day of Your Choice With Personal Egyptologist Guide and Accommodation Included. Book Private Cairo and Luxor Tour From Marsa Alam. 2 Day Trips to Cairo and Luxor From Marsa Alam By Flight, Book Overnight Air Tour to Cairo & Luxor From Marsa Alam by Plane to Cairo, Giza Pyramids, Egyptian Museum, Karnak, Luxor Temples and Valley of The Kings. Book Snorkeling Trip Marsa Alam to Hamata Island Egypt. Red Sea Boat Trip to Hamata Tropical Islands. Snorkeling Cruise Tour to Hamata Islands Egypt From Marsa Alam. An Awesome Cruise Excursion to Uncover the Fishes Diversity and Corals of Hamata Tropical Islands. Afternoon adventure trip to enjoy the amazing desert sunset. Wander the sunset view of the eastern desert of Egypt near Marsa Alam while riding an ATV quad. You will visit the Bedouin village for BBQ dinner, tea, water pipe and live show. Enjoy Quad Safari Marsa Alam Excursions. Book Quad Tour Marsa Alam Desert Safari Trip with Bedouin Tea and Water Pipe to Experience Safari Marsa Alam For 3 Hours Explorin The Desert Side of Marsa Alam and Wander The Bedouin Life Style and Traditions. Book Super Safari Marsa Alam Trip. Sunset with 4*4 Jeep Safari Marsa Alam, Dune Buggy with Camel Ride, Bedouin Dinner & Show. Book Marsa Alam Desert Safari Tour to Wander The Sunset Views of Egypt Eastern Desert. Book Marsa Alam Snorkeling Port Ghalib Marina Yacht Cruise. Red Sea Snorkeling Cruise to Marsa El Shone, Mubarak & Lagoon Zodiac. Port Ghalib Snorkeling Boat Trip From Marsa Alam Hotels. Enjoy Snorkeling at Satayh Dolphin Reef Marsa Alam Excursion. Snorkeling Marsa Alam Yacht Tour to Sataya Dolphin Reef. Book Satayh Dolphin Reef Trip By Boat From Marsa Alam. Snorkel and Swim The Red Sea Waters to Enjoy Dolphins, Fishes and Corals. Explore Giza Pyramids at Night. Cairo Night Tour to Sound and Light Show Pyramids. Awesome Giza Pyramids Tours at Night. Book Giza Pyramids Night Show Tickets, One of The Must Do Things in Cairo, Night Entertainment to Enrich Your Visit to Egypt. Book Cairo Stopover. Cairo Day Tours From Cairo International Airport, Short Cairo Stopover Transit Tour to Pyramids, Cairo Museum & Old Cairo 8 Hours Cairo Airport Layover Tour to Explore Cairo Top Attractions With Adjustable Personally Tailored Cairo Stopover. Book Ras Mohamed Snorkeling For Full Day Cruising Ras Mohammed National Park From Sharm El Sheikh. Red Sea Snorkeling Tour & Lunch at Ras Mohamed National Park to Wander Coral Reefs of Ras Mohammed Egypt. Book Dune Buggy Cairo Ride Trip. Quad Biking Cairo Safari Tour to Giza Pyramids, Ruins of Abu Sir & Sakkara. Enjoy This Crazy Quad Biking at Giza Pyramids Experience, Adventure Expedition on 4 Wheels Quad Runs Daily in Cairo. Book Hurghada Pyramids Tour, Day Trips From Hurghada to Pyramids by plane. With Our Giza Pyramids Tour From Hurghada You Will Tour Cairo Pyramids, Egyptian Museum & Old Cairo to Complete Your Egypt Experience While Holidaying in Hurghada Red Sea. Private Cairo Sightseeing Tour. Cairo City Tour to Egyptian Museum, Saladdin Citadel, Alabaster Mosq & Khan El Khalili Old Cairo Tour. Book Cairo City Sightseeing Tour From Your Hotel With Return Transfers, Tickets and Egyptologist Tour Guide. 2 Day Tour to St. Catherine's Monastery From Cairo. Mount Sinai Egypt Tours to Wander The Sun Rise On The Top of Mt. Sinai. Book Mount Sinai Tours From Cairo and Visit Sinai Sacred Spot in Guided 2 Days Trip from Cairo to Mt. Sinai and St Catherine Egypt Monastery. Book El Fayoum Day Tour From Cairo. Escorted Fayoum Trips to Fayoum Waterwheels, Qaroon Lake and Wadi Al Rayan in Private Day Trip to El Fayoum Oasis From Cairo. Fayoum Oasis is one of Many Egypt Attractions and Landmarks to Explore Outing From Cairo. Overnight Tour to St. Catherine's Monastery From Dahab. Mount Sinai Egypt Tours to Wander The Sun Rise On The Top of Mt. Sinai. Book Mount Sinai Tours From Dahab and Visit Sinai Sacred Spot in Guided Trip from Dahab to Mt. Sinai and St Catherine Egypt Monastery. Book Tiran Island Snorkeling Tour. Sharm El Sheikh Snorkeling Trip to Tiran Island Sharm. Tiran Island Cruise & Snorkeling Tour With Lunch to Explore Red Sea Coral Reefs From Sharm El Sheikh. Book Colored Canyon Dahab Trip. Sinai 4x4 Jeep Safari & Colored Canyon Hiking Tour With Lunch. Color Canyon Dahab Egypt Excursions, Book The Coloured Canyon Dahab Sinai For Easy Hiking Experience, Red Sea Snorkeling & Nuwibaa Bedouin village Visit. Range of Cheap Nile Cruises All Inclusive, Budget Nile Cruise Holiday Packages and Unmissable Nile Cruise Deals. Book Cheap Nile River Cruises. Tourists who travel to Egypt wonder if there are cheap Nile cruises?. The answer is yes! There are many Nile cruises reasonable prices . 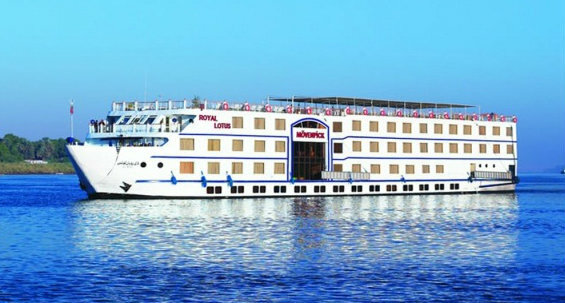 Well Picked Luxury Nile Cruise Aswan to Luxor. Budget Aswan to Luxor Cruise 3 Nights. Book 4 Day Nile Cruise Aswan to Luxor and join tourists travel to Egypt who choose Nile cruising in Upper Egypt from Aswan to Luxor as part of their vacation in Egypt.